Hovering hawks, swooping falcons and softly calling morepork. A close look at the predatory birds of New Zealand – many of them endangered. 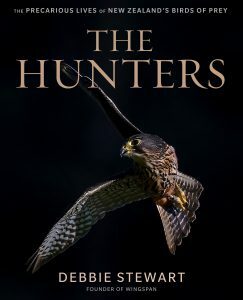 From an extinct giant eagle and an owl that sounded like the devil, to the morepork we hear calling at night, the falcon that appears on our $20 note and the hawks we see swooping on the grisly remains of dead critters on the road, this book takes a close look at these fascinating birds and the people who are working to keep the species that are still with us safe. Filled with facts and great stories of rescued birds being nursed back to health, this book also has many amazing close-up photographs. Find out about the ancient art of falconry, how damaged feathers critical for flying can be replaced with temporary ones, how you can help an injured bird, and how birds can be released back into the wild. The tawny frogmouth is one of Australia’s most intriguing and endearing birds. 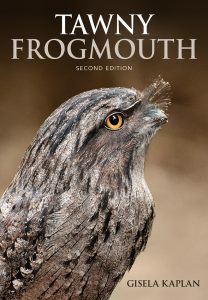 Written by award-winning author Gisela Kaplan, one of Australia’s leading authorities on animal behaviour and native birds, this second edition of Tawny Frogmouth presents an easy-to-read account of these unique nocturnal birds, which can be found across almost the entire continent. Fully revised and updated throughout, this book combines 20 years of systematic observation with published research and information from regional surveys, and represents the most comprehensive single study ever conducted on tawny frogmouths. We learn that tawny frogmouths are very affectionate, have close bonds with lifelong partners, scream like prowling tomcats when distressed, fight with lightning speed and defend nest sites from reptilian predators by mobbing and spraying pungent faeces at them. Uncompromising male fights are contrasted with the touching gentleness of males as fathers. We also learn how resilient and unusual tawny frogmouths are in the way they cope with heat and cold and scarcity of water, sit out danger, and use a large variety of food items. This fascinating book has a wide appeal to bird lovers, amateur ornithologists and naturalists, as well as those with a scientific or professional interest in native birds, their communication, emotions and skills. 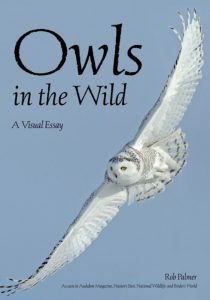 Explore the amazing world of owls as they fly, hunt, rest, and care for their young . Photographer Rob Palmer has a passion for birds of prey and has traveled the world in pursuit of images that capture their amazing beauty and behaviors as the go about their lives in their natural environment. In this book, he has collected nearly two-hundred of his favourite shots, showcasing a wide array of species, locations, seasons, and activities. From grown owls in flight to youngsters hamming it up in the nest, you’ll enjoy a virtual tour of the lives of these mesmerising birds. Palmer also provides explanatory text to help you identify the species, appreciate the behaviours, and understand what it takes to get shots like these. 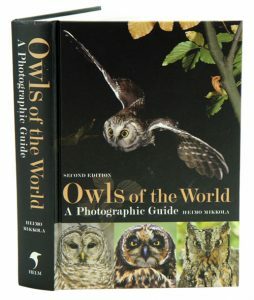 Whether you are an owl lover or an aspiring bird photographer, you’ll love this book! From ancient Babylon to Edward Lear’s The Owl and the Pussycat and the grandiloquent, absent-minded Owl from Winnie-the-Pooh to David Lynch’s Twin Peaks, owls have woven themselves into the fabric of human culture from earliest times. Beautiful, silent, pitiless predators of the night, possessing contradictory qualities of good and evil, they are enigmatic creatures that dwell throughout the world yet barely make their presence known. In this classic Reaktion title, now available in paperback, bestselling author and broadcaster Desmond Morris explores the natural and cultural history of one of nature’s most popular creatures. He describes the evolution, the many species and the wide spread of owls around the world, as well as their appearance in folk tales, myths and legends, art, film, literature and popular culture. Originally published in 2009, this new format edition features many telling illustrations from nature and culture and will appeal to the many devotees of this emblematic bird. Owls: A Guide to Every Species brings together full descriptions and distribution maps for all 225 owl species in the world, illustrated with stunning colour photographs. The charm and mystique of owls resonates through human history. From ancient myth and superstition to the most popular modern children’s stories, these beautiful, deadly birds are harbingers of good and bad news, icons of fear and wisdom, and powerful sidekicks of magic-makers. Yet uncovering the reality of their lives is a tremendous challenge, as most are nocturnal and many extremely secretive. New species are still being discovered, as are new insights into the habits of even the most familiar species. 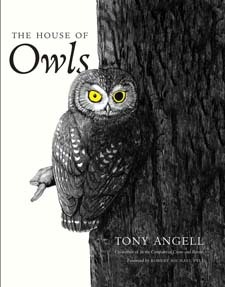 For a quarter century, Tony Angell and his family shared the remarkable experience of closely observing pairs of western screech owls that occupied a nesting box outside their forest home. The journals the author recorded his observations in, and the captivating drawings he created, form the heart of this compelling book-a personal account of an artist-naturalist’s life with owls. 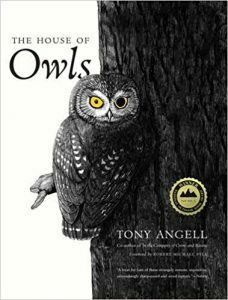 Angell’s extensive illustrations show owls engaged in what owls do-hunting, courting, raising families, and exercising their inquisitive natures-and reveal his immeasurable respect for their secret lives and daunting challenges. Angell discusses the unique characteristics that distinguish owls from other bird species and provides a fascinating overview of the impact owls have had on human culture and thought. He also offers detailed scientific descriptions of the nineteen species of owls found in North America, as well as their close relatives elsewhere. 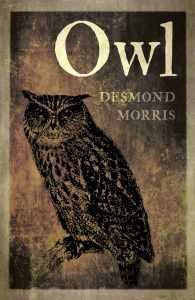 Always emphasizing the interaction of humans and owls, the author affirms by his own example the power of these birds both to beguile and to inspire. The Great Horned Owl is the largest owl found throughout most of North America. Adult owls are between eighteen to 24 inches from head to tail and can have a wing span of more than four feet. Their long ear tufts and cryptic coloration enables them to remain well hidden during the day, often out of sight of sharp-eyed diurnal raptors and eagle-eyed birders. Through more than 130 photographs and illustrations, take an in-depth look into the life of this very impressive and formidable bird. 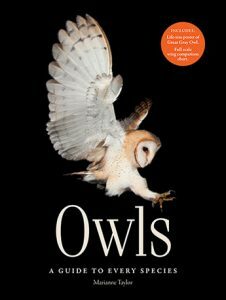 Explore the owls’ food habits, nesting sites, how they raise their young, and the rehabilitation of injured owls. The one-of-a-kind photographs and comprehensive descriptions make this a must-have treasure to be enjoyed by all ages. An in-depth yet lively study of these fascinating birds on the North American continent. Topics include anatomy and adaptations, mating behaviours, egg laying and chick rearing, feeding habits, communication displays and location. Superbly designed birds of prey, owls are equipped with highly effective tools for killing and dismembering their prey: strong feet with curved, stiletto-like talons and a sturdy hooked bill with razor-sharp cutting edges. What makes owls unique is that most of them hunt in darkness from dusk to dawn using their keen hearing, enhanced low-light vision and sound-muffling structures on their flight feathers. 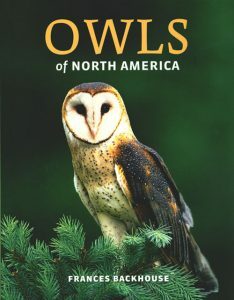 With detailed profiles of and range maps for all 23 species, along with 70 colour photographs illustrating key behavioural characteristics, Owls of North America is a solid reference for bird watchers, naturalists and general readers. The ultimate photographic resource dedicated to the identification of these largely nocturnal birds of prey. 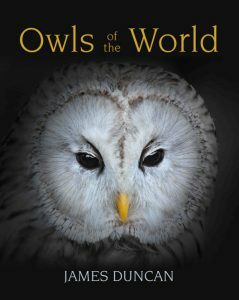 This book contains lavish and spectacular photography from dozens of the world’s finest natural history photographers, covering all of the world’s 268 species of owls; particular attention is given to subspecific differences, sexing and ageing. The photographs are accompanied by concise text on the identification, habitat, food, distribution and voice of these birds, along with accurate range maps. 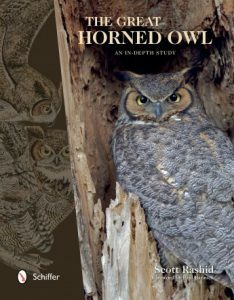 In this second edition, recent changes to owl taxonomy are incorporated with full descriptions (and images) of a number of new species, along with several new photographs to improve this book’s amazing photographic coverage still further. 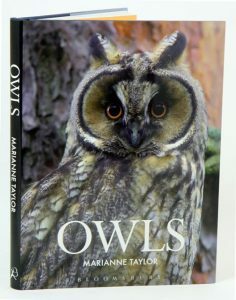 This is the definitive work on owl identification – no birder’s bookshelf should be without it! This informative book, covering the northern hemisphere, is divided in two between thematic sections covering owl biology and species accounts for around 30 species (with emphasis on European and Nearctic species). It is comprehensive in coverage and includes all of the owls in the region.